A business Lasting Power of Attorney is a powerful legal document which allows a business owner (Donor) to appoint persons of their own choice (Attorneys) to look after their business affairs. It can be used if they lose capacity to manage their business affairs or simply no longer wish to make these decisions themselves. Any Sole Trader, Partner or Company Director wants to ensure the efficient running of their business. 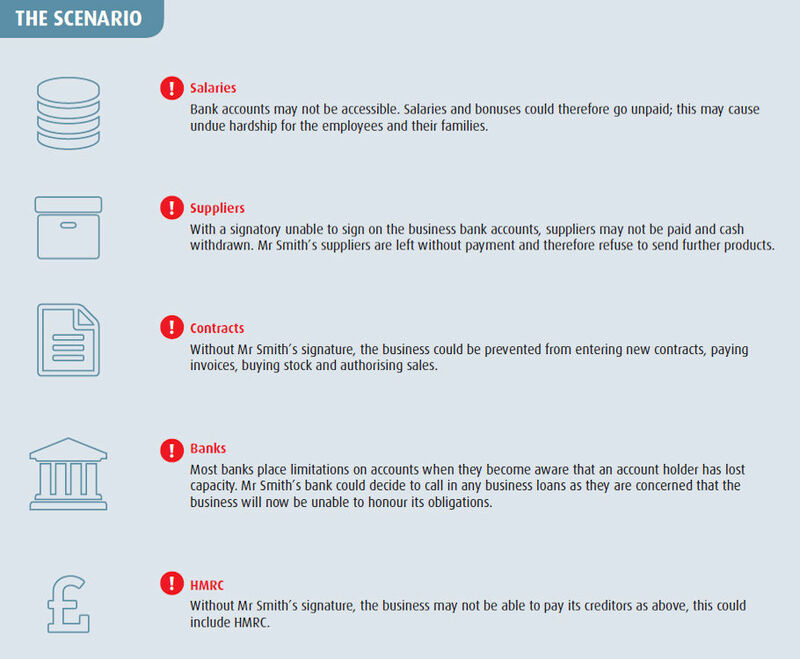 It is imperative that someone is able to fulfil daily duties such as paying staff and suppliers or dealing with the bank should the business owner be unable to. If the business owner can’t run their business, either through being physically or mentally incapable, or simply being out of the country, it is important that somebody has the legal authority to act on their behalf in relation to their business interests. You may think that your spouse, family, friends or business partners can help run the company if anything should happen to you. Sadly, this is unlikely be the case. 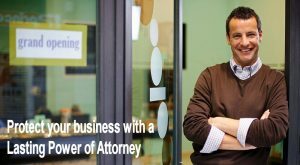 Without a Business Lasting Power of Attorney it will fall on the Court of Protection to decide who is best placed to make decisions on your behalf. This process is likely to take months and be very expensive. In the meantime, this delay could cripple your business. What happens if the Court of Protection decides the best person to deal with your affairs is not business minded or doesn’t work well with the remaining business partners? Perhaps the banks won’t have confidence in that person. Would you, or your business partner, want your business being run by a stranger? A Business Lasting Power of Attorney that allows you to choose the best person. Having to face the prospect of being unable to deal with your own business affairs can be daunting for all of us. So many people avoid this but failing to act NOW and plan for this eventuality can lead to your business suffering unduly. *To manage your personal & business affairs separately, you will need two LPA’s. for more information please contact Barnet Wills on 020 3189 1737 or email info@barnetwills.